If you’re waiting for approval for a personal loan, every minute can last a year. You really need the money, and you’re eager to find out that it’ll be on its way soon—so you hope. Although it feels like it takes a long time, when you think about what needs to be done, approval for a personal loan actually happens relatively fast. Once you’ve submitted all of your details, the lender still needs to run a background check on your identity, verify your financial situation, confirm your employment, and pull a soft credit check against your name. Once these steps have been taken, the lender carries out the underwriting process to assess your level of risk and decide what interest rates and other terms you will receive. The underwriting process is what can take a long time—up to a couple of weeks in some banks—although online lenders replace manual underwriting with an algorithm that carries out the calculations and computations within a few seconds. The amount of time you’ll have to wait until you get approval for your personal loan depends on multiple factors, like how much information you've submitted, whether you have a short credit history, how much money you've requested to borrow, and whether or not you're self-employed. Before you apply for approval for a loan, check that you meet the lender’s eligibility requirements for age, citizenship, and employment. You might also need to have a certain minimum monthly income and/or minimum credit score, or a minimum credit history length. If your income or credit score is borderline, you’ll probably have a faster approval process if you find a lender that is more accepting of your situation. It's also important to request a loan that you are likely to be eligible for. That means that you can afford to make the repayments without struggling. Use one of the many online loan calculators to work out how much repayments will be for the amount and term that you want, or use a reverse loan calculator that takes your preferred monthly repayments and works backward to tell you how much you can borrow and for how long. You can make adjustments until you find a setup that works for you. It’s also a good idea not to request the maximum amount that this lender offers. For example, if the maximum loan amount is $50,000, your loan application will be approved faster if you request $40,000 than if you request $50,000. Every reputable lender will run a soft credit check before they send you a preapproval offer, and a hard credit check before the final offer. If there are errors on your credit history or unexplained activity, you'll have to wait while the lender contacts you to ask for an explanation, and you might have to wait even longer while you clear things up. If you make sure to correctly calculate your credit score and that your credit report is clear and clean before you apply, your approval will go much more smoothly. Application forms for personal loans might seem long and tedious, but it’s worth taking the time to complete them thoroughly. 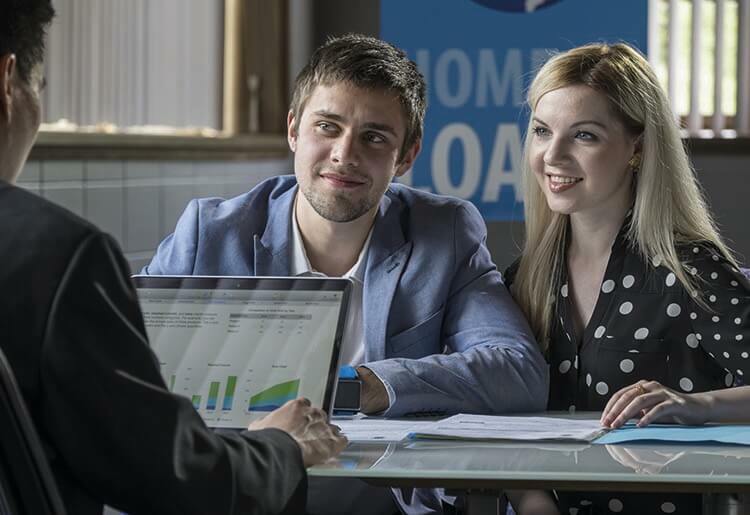 The more information you can give the lender, the easier and faster it will be for them to decide whether or not to approve your loan request. If you’ve already gathered your documentation, it shouldn’t take too long to answer all of the questions and attach any documents that are required. You might need to answer some questions about your financial situation, like verifying your employment status or your monthly income. If you’re self-employed, you’ll probably be asked for some follow-up information. You’ll also need to wait while the lender runs a hard credit check, and you could have to answer some questions if there is anything unusual in your credit history. Once the lender has all of the necessary information, they’ll carry out the underwriting process. This is where they calculate your level of risk in order to decide whether to give you the loan and what rates and terms to offer. Most online lenders will give you an initial response within a few minutes, but you'll have to wait a little bit longer for final approval. Thanks to their advanced algorithm, most online lenders will let you know if you've been approved within a couple of hours, or at least by the next business day. Banks are known for taking a long time to process your personal loan application because they still use staff to carry out the underwriting process manually and it can take up to a few weeks. It will probably speed things up if you apply in person, to be sure that no information is missing. Some banks do use advanced algorithms, and even if they don't, you can often get approval within two days. Credit unions take about as long as the banks, and for the same reasons. That said, credit unions are usually less busy than banks, so they can process your application faster. Approval can be as quick as 2 days and as long as a few weeks. Online lenders are the speed winners for personal loan approval. They use advanced algorithms to instantly assess your personal data and come to a decision about your level of risk. Some online personal loan providers can approve your application instantly. Others can take up to a few hours or the next business day. Online peer-to-peer lenders use the same fast algorithms as other online lenders, giving you a quick approval response. The main difference arises in waiting for the funds to clear after you’ve been approved. Because peer-to-peer lenders need to check acceptance with a third party, it can take a few days for the money to make it to your account. Now that you understand the process of getting approved for a loan, you can go ahead and take the plunge. Make sure to read reviews about the top personal loan providers around to find a lender that’s right for your needs, and complete a clear loan application that will bring you the funds you need, when you need them.